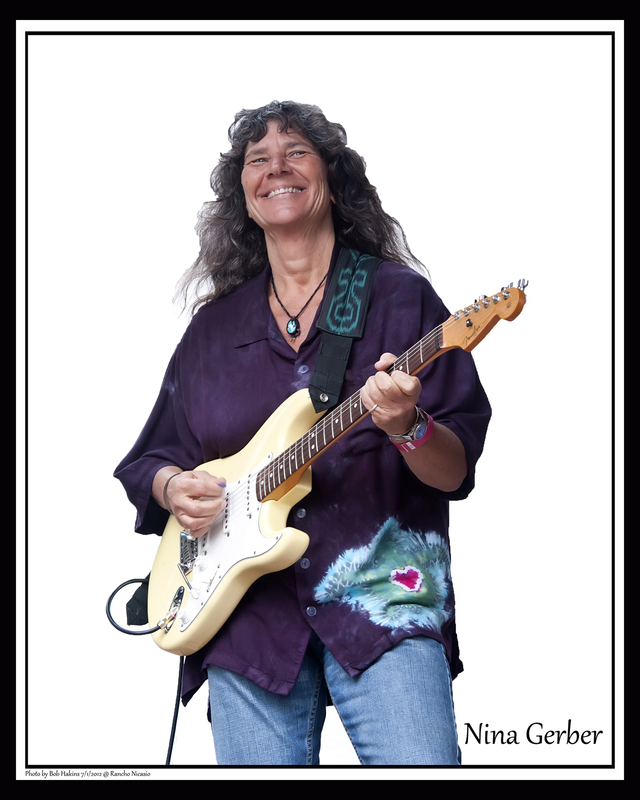 After carving a career out of what some might call the shadows, guitarist Nina Gerber is at last beginning to dare the light. Her first album as a leader, Not Before Noon, follows two decades which brought her to prominence without ever placing her name on the front of an album cover. Since her accompaniment of Kate Wolf first earned her recognition, her acute skills as performer, producer and arranger have continued to deepen. Her contributions to acoustic music have earned her a following as loyal as for the numerous high talents she has accompanied - proving the shadows equal to the spotlight in the creation of honest, powerful, and beautiful music. That qualities of honest heart inform Nina's music should be of no surprise, given Kate Wolf's initial influence and inspiration. It was Kate's heart and honesty which inspired Nina to realize music as her calling. After seeing Kate perform in 1975 at a pizza parlor in Sebastopol, California - Nina's home town - Nina dared to set working with Kate as a specific goal, and by 1978, the goal was accomplished. Nina came to be an essential part of Kate's music, as she grew into being her accompanist and close musical companion. It was a partnership which lasted until Kate's passing in 1986, and in its effect, has lasted long beyond that. It's an achievement which is a testament to the power of clear desire and single-minded purpose; it's also evidence of the daring Nina has shown throughout her career since, whether through seeking out the challenging rush of unrehearsed performances, driving her van alone cross-country (1985) to explore the music scenes of Austin and Nashville, taking a sabbatical to study at the Guitar Institute of Technology in Hollywood, or just keeping on as a musician in a country where artistic integrity rarely pays. Whether it's on her own "solo" CDs - collaborations with many of the folk world's finest - or producing, arranging, or performing with countless others, Nina continues to prove with her guitar that some of the truest and most emotional communication requires no words. Still, when combined with the voice of another musician of heart, the result is affecting in an unforgettable way.